Sgt. Antony J. Martinez/US Army photoA NATO service member was killed Monday in an insider attack. Initial reports say the attacker was a member of the Afghan Security Forces, according to a NATO press release. One NATO servicemember was killed and two others were wounded Monday in an insider attack in Afghanistan, according to NATO. Insider attacks have been prevalent throughout the war in Afghanistan, resulting in the deaths of over 150 US troops. The “green-on-blue” attacks, as they are termed by NATO, peaked in 2012. 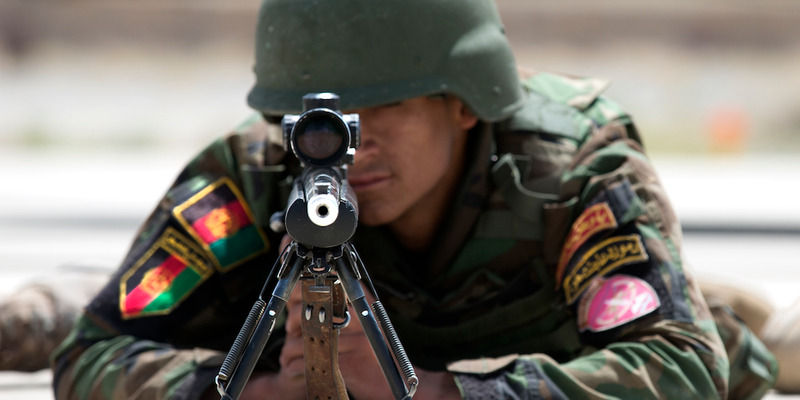 This is the fourth insider attack committed by Afghan security force troops this year. Two US service members have been killed and three others wounded in previous attacks, according to NATO press releases. On October 18, Afghan police chief Gen. Abdul Raziq was killed in an attack claimed by the Taliban – a brazen attack that nearly wounded Gen. Austin Scott Miller, the top US commander in Afghanistan. Initial reports show the attacker on Monday was a member of the Afghan Security Forces. The attack took place in Herat province in western Afghanistan. The service members’ identities and nationalities have not been released.